Today LinkedData.Center published its first eBook. 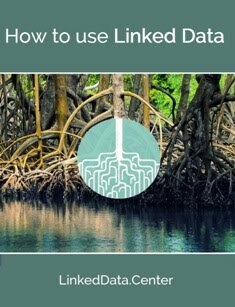 Linked Data has established itself as the de facto means for the publication of structured data over the Web, enjoying amazing growth in terms of the number of organizations committing to use its core principles for exposing and interlinking data sets for seamless exchange, integration, and reuse. More and more ICT ventures offer innovative data management services on top of Linked (Open) Data, creating a demand for data practitioners possessing skills and detailed knowledge in this area. Ensuring the availability of such expertise will prove crucial if businesses are to reap the full benefits of these advanced data management technologies, and the know-how accumulated over the past years by researchers, technology enthusiasts and early adopters. Practitioners interested in using cutting-edge technologies to analyze and make sense of large amounts of structured data. Technology enthusiasts aiming to broaden their knowledge on one of most exciting and rapidly evolving topic related to Big Data and open-access policies. Researchers in the Semantic Web community who want to gain basic, down-to-earth knowledge about proven-and-tested technologies for using Linked data. Researchers in other disciplines interested to use Linked Data technologies to optimize specific data management aspects related to the scientific data they operate on. Each chapter of this book is targeting a different crucial task related to Linked Data. A free download of the eBook is available in the download area of LinkedData.Center (registration required) . This book is a collaborative project derived from the EU FP7 EUCLID project of the European Community under the Information and Communication Technologies (ICT) theme.